1. 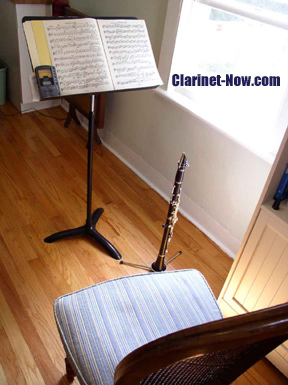 Show up to your private clarinet lessons consistently. Perhaps the best plan is to have one lesson a week. This will allow you ample time for practice before the next lesson. Just like consistent practice makes you consistently better; consistent lessons make you consistently better. This is proven over and over with my students. When they show up week after week and practice consistently week after week, their growth is much more rapid than students that skip lessons. 2. Practice consistently and daily (don’t blow off lesson material and then practice it in one long session the day before the lesson – THAT is inefficient). 3. Respect the time with your private clarinet teacher. This teacher is a paid professional and spent a certain number of years gaining expertise on how to show you and teach you properly. Also, show up on time for your private clarinet lesson. 4. Keep the small talk to a minimum and get to the business playing and learning. So many students intentionally waste private clarinet lesson time so they don’t have to play that hard scale or hard exercise the teacher gave them last week. Don't start up a conversation about Clarinet Shoes in clarinet lessons. This strategy cheats you of good clarinet instruction. A good teacher will keep you on task. 5. Know your scales cold. If it is your wish to play pretty, fun and cool music in lessons, know your scales so well that you can knock them out in a short time. If you knock them out fast, your private clarinet teacher will begin to trust your discipline of scales and will possibly spend less time on them. However, they may give you more versions of scales, arpeggios, thirds, minor scales, etc… Practice them and knock them out fast. Talk about fast growth, knowing your scales will help you take off in every facet of clarinet playing. 6. Work on your lesson assignments. Focus heavily on the areas that seem the hardest for you. What seems hard today will seem easy in the near future. THAT is progress. 7. Ask your private clarinet teacher to assign metronome markings for each scale and/or exercise that they assign you.What tempo can you play the music perfectly? That is your starting point. Have the teacher help you find this mark, then have them assign a “goal” tempo. This “goal” tempo is the tempo you will play the music perfectly and pass off the etude to move on to bigger and better things. 8. Ask your teacher the tricks of good sight-reading. Practice every one of them by sight reading at home. 9. Ask your teacher to play for you and demonstrate good clarinet playing. Do not rely on hearing them play your assignment so you can learn it by ear, fake through it, and then drag out a confused clarinet lesson the next week. Have them demonstrate proper clarinet sound, articulation. finger position and musical phrasing to you. Model their sound and pick-up all the good habits you can from them. 10. Ask your teacher to play duets with you. Ensemble playing is beneficial in many ways to you as a young player. By playing duets with your teacher, you will match his/her sound and have to play strict rhythms and notes in order for the duet to sound good. Let’s say you take an hour lesson a week. With a 24 hour day times 7 days, that equals a total of 168 hours in a week. One hour is with the clarinet teacher, the other 167 hours are in your hands. 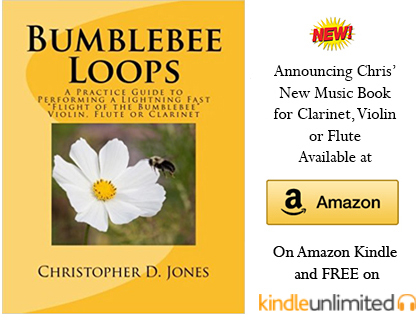 You are your first teacher and your private clarinet teacher is your professional advisor. Read more about Private Clarinet Lessons here.